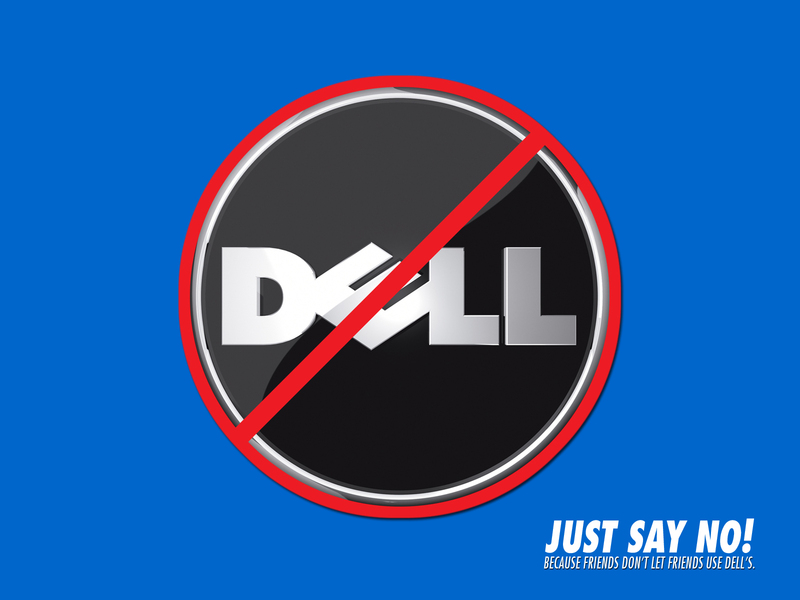 Why I am Never Buying a Dell Product Again!!! Once upon a time, small businesses relied on Dell Computers. Once offering excellent products, it was hailed for its customer service — 10 years ago. But now, Dell’s products are worse than anything that ever came out of Yugoslavia. Dell’s “customer service” rivals any government bureaucracy in the free world. I write part-time as a sole proprietor. When something goes wrong, I have to deal with it directly. This takes away valuable opportunity costs. When I should be building a customer base, providing services and otherwise being productive, I have spent countless hours dealing with the nice Dell contractors whose English is still a work in progress. I bought a printer in July. It was $500 and a huge investment given my annual income as a part-time writer. At first, during the 30-day period I had to return the machine and get my money back, it worked fine. Dell’s “customer service” rivals any government bureaucracy in the free world. But if anything happens after that magic 30 days, forget ever getting your money back. Not long after I bought the printer, Apple updated its software and the scanner quit working. Did Dell honor its customers by updating the software? No. Instead, Dell’s tech support advised me to “keep checking” for updates yet to happen nearly five months later. The techies gave me two “work-arounds” until then. The FAX part does not work correctly either, so I can only fax items but cannot send them. Now the print tray also needs to be “worked around.” When I hired an outside consult to fix the printer, he explained that there is something mechanically wrong with the tray so it gives a false error message. The only thing I can do is pull out and then push in the tray every time I print. This is unacceptable for a printer less than a year old. So I called today, explained how I have patiently tried to adapt to all this unreasonable silliness. I told them I have lost far more money in lost work than in the price of the printer and the least and honest thing Dell should do is accept the defective product and return my money. It turns out I would have done better putting the $500 in my bank account even though it barely pays interest, which is gets eaten away by taxes anyway. Both gentlemen politely read from the same script explaining Dell’s third-world return policy. Translation: Buyer Beware! Get a lemon from Dell and you are stuck. Apparently, the one-year warrantee on the product gives me the privilege of bonding with my new best friends in India and Bangladesh for free. After this, I can buy an extended warrantee to pay for the privilege. I should have known better. The laptop I bought in 2009 was a dud and a computer friend of mine could not resolve the issues despite endless Dell tech support time. It was never as reliable as the one I bought in 2005 or the two PCs I bought in 2003 and 2007. We often blame government for being hard on small business. But companies like Dell make a profit at dishonoring trusting customers. I am not alone. The Internet is a bastion of ignored pleas for Dell help. If Dell will come to its senses and help me, I am happy to sing its praises like I did TurboTax in a former blog. P.S. My HP 1320, which I bought 10 years ago, and my HP 9800, which I bought six years ago, work great! They just don’t scan or FAX, just like my new Dell four-in-one! Thank God for my old reliable HP printers! Thanks, Annmarie. Most interesting! My Gateway has lasted about ten years and is still going strong. Apple is probably best, don’t you think? I think it is for now. Windows is coming up with some good products and Apple has to maintain its reputation sans Steve Jobs. We shall see. My question is if Dell will do the right thing and respond to me. I posted my blog on their Facebook site. Thanks for the vent/heads up. We need to buy a new laptop this summer and have been Dell loyalists, but this could definitely change. I would get an Apple Air. That will be my next purchase, that is, after I buy a new printer to replace the Dell lemon. I did post my blog on the Dell Facebook page and someone did ask me to send my service tag and they would respond. I asked them to give me a direct email to send it to b/c I was not going to post my service tag on the Internet! I bought an Apple PC in December 2011 and an IPAD in November 2012 and have had any trouble. Customer service has also been responsive!